Nature is based on cycles. If we go back to our childhood schoolbooks and look up the water cycle, we will discover (or rediscover) that the water cycle is driven by the sun’s energy, and that rainfalls make plants sprout and quench animals’ thirst. It’s a perfect cycle that has run for eons, a flawless balance of forces, a closed loop that renews itself and produces no waste. Each piece of this “value chain” only takes what it needs and returns what it doesn’t to the surrounding environment. But by designing linear processes, we have broken this natural cyclic structure, with the many unwanted negative consequences we all know well. We believe it is now time to re-learn from Nature: a circular process, such as Nature’s one, is very close to the idea of sustainability we have in mind. 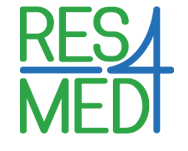 Since its inception, RES4Med&Africa has promoted renewable energy as a way to provide power to local communities in Southern-Mediterranean and Sub-Saharan African countries. Even though the promotion of renewable energy is our core business, the reason why we do it may not be immediately evident. At RES4Med&Africa we believe that energy is an enabler, a key factor that hugely contributes to sustainable development. Electrification is thus not an end in itself, but a means towards improving human wellbeing and overall sustainable prosperity. In recent years, a new framework has emerged within the global discussion on sustainable development: the water-energy-food nexus. This theme highlights the multiple interconnections that exist between the water, energy and food supply systems. The WEF nexus has turned into an approach to deliver positive results both in terms of achieving sustainable development and climate change resilience. But the water-energy-food nexus approach implies something else too: that we need to rethink our social, industrial and economic models with a holistic and integrated approach. In other words, going back to a natural cyclic process. What we’ve come to realise – each in our own sector – is that we can no longer focus on our own backyard. Often projects are dealt with in isolation without considering interlinkages with other sectors, missing opportunities for synergy. Too often we focus on bringing electricity to remote areas without realising that energy alone will not significantly impact lives if the context is not considered: we can bring all the energy we want to a remote African village, it won’t transform communities if people don’t have the possibility to create something with that energy. Too many times well-intentioned projects focused on access to food or to water, leaving out the energy component: we can install all the water pumps we want in remote Africa, it won’t change people’s lives if they don’t have the electricity to turn it into productive uses. Here lies one essential aspect: energy, to have impact, must be of a productive type. Bringing power to light a lightbulb so that children can do their homework even after sunset will certainly improve their lives. But bringing the power that allows water pumping and food processing multiplies that positive effect throughout communities, impacting people’s livelihoods in a much shorter time and in a much grander way. In other words, productive uses of energy have an immediate impact on the increase of income or productivity. Promoting productive uses of energy enhances economic and social development outcomes of rural electricity access. This relatively new approach specifically addresses two questions: how can we bring power to the billion people who do not have access to energy? And how can we do so in a way that does not pose a threat to our climate, and possibly revert the climate-change process, which is urgently needed? The WEF nexus is a new proposed approach that provides the opportunity to achieve sustainable development and tackle climate change. The WEF nexus is already important today, to bring power to the 1.2 billion people who do not have access. It will be even more important in coming years, when populations will grow (it is estimated that in 2050 the world population will reach almost 10 billion), and will consequently require more water, more energy and more food, with actions on one sector impacting the others too. Energy has often been overlooked in the sustainable development discourse, and this has proved to be a limit. For example, when associated to water, energy makes irrigation systems possible: these enable the transition from subsistence farming to profitable agriculture. Associated to food, energy makes food processing possible: preserving food means having an opportunity to reach new markets and provide more people with access to food. Moreover, the benefits of the WEF nexus approach go beyond rural areas, as it can also positively impact the industrialization process of other sectors such as agribusiness, poultry and fishing. It allows small farmers to reach larger markets at the necessary speed and scale. The private sector will play a central role to realise sustainable development. There are particular contexts, such as rural areas, where bringing electricity alone is not economically viable for private investors; at the same time, local governments do not have the capital to provide basic infrastructure and services. Yet, these rural areas cannot be left behind: starting from these will help us to take a step back and, with a wider view on the situation, re-focus on people’s needs. Associating energy to other sectors, such as water and food, generates a higher income, with a powerful and exponential multiplication effect on local economic growth. This is what we call “energy with high impact”. As mentioned earlier, deploying energy alone is often not a viable solution from an investment point of view. Associating energy to the water and food value chain could provide the financial sustainability for the investment, thus attracting the capital and the interest of the private sector. So the WEF nexus provides a business opportunity for companies, and a development opportunity for local communities. Thinking from a nexus point of view could give an impetus to investments, because investing in a project that involves all these three sectors at the same time has a higher return than one that considers them individually: the interconnection between the three sectors makes them act on each other with a multiplier effect. Renewable energy can bring a positive contribution to this approach. Renewable energy represents a real solution to drive universal access to energy in Africa thanks to its cheaper and cheaper price, its source abundancy in Africa, its inherently sustainable nature, and its indirect social, economic and environmental benefits. For development to be truly sustainable, the “E” in WEF nexus should be provided by renewable sources. We’ve seen the strong interlinkages between the water, energy and food sectors. Renewable energy adds positive value to each: as for water, renewable energy is less water-intensive and provides solutions in waste water treatment. As for food, renewable energy can provide the food and agribusiness sector with energy on-site. As for energy, renewable energy reduces electricity costs and aids in achieving energy independence. In addition to all this, renewable energy improves each sector’s security and, reducing greenhouse gas emissions, lowers each sector’s carbon footprint. As we see, renewable energy provides an added value to the whole WEF nexus approach. A way to bring real and effective progress is to create a new business model that integrates water, energy and food, and considers them as part of a single field of action. We can do more than provide electricity. This new model will most likely be based on the supply of flexible services that the stakeholders could exchange on a peer to peer base according the collaborative prosumer approach.